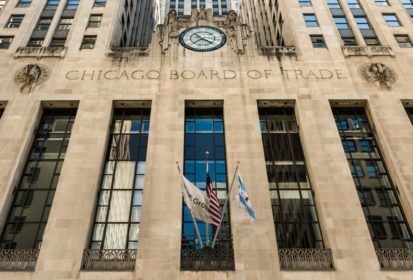 CNS Canada — It’s a wait-and-see game for traders who deal in corn and soybeans on the Chicago Board of Trade (CBOT). “It looks like we’re going to be concerned a lot about what happens with our friends from China here in the short term,” said Jack Scoville, of Price Futures Group in Chicago, on Thursday morning. The U.S. government is set to place $34 billion in tariffs on Chinese goods starting Friday (all figures US$). China has already said it will retaliate fast with its own — and those tariffs will include U.S. soybeans. “That’ll come tomorrow, and how fast (does China) respond and retaliate, of course, is of vital interest to us all,” Scoville said. China is one of the top buyers of U.S. soybeans and for months now the market has been in a tizzy. Commodity prices have dropped as statements have flown back and forth between the two countries — and soybean markets have dropped with every new headline. At Thursday’s close, the August soybean contract ended the day at $8.38 per bushel, after having dropped during the day. Depending on China’s reaction Friday, Scoville thinks the market could see another drop. “I think that even though you see a big down early in the day, tomorrow you could see the market rebound and even close higher,” he said. Traders are also paying attention to weather in the midwestern U.S., where showers are in the forecast — but Scoville said the rain hasn’t fallen yet. “If we come back here on Monday morning… and it’s going to be hot and dry, I think we could see the market try and rally,” he said. CBOT September corn ended Wednesday slightly lower at $3.52 per bushel.